All new carts are available in both gas and electric models. Here’s where economy meets rugged reliability for work or play. 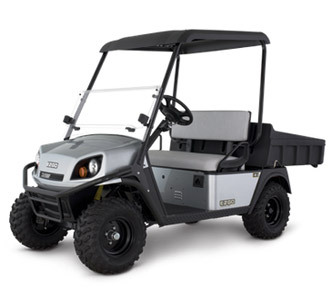 Hauling up to 800 lb around the property, or delivering you and your buddy to your favorite fishing hole, the E-Z-GO® Terrain™ 250 handles the job in impressive fashion. Available in gas and electric models.